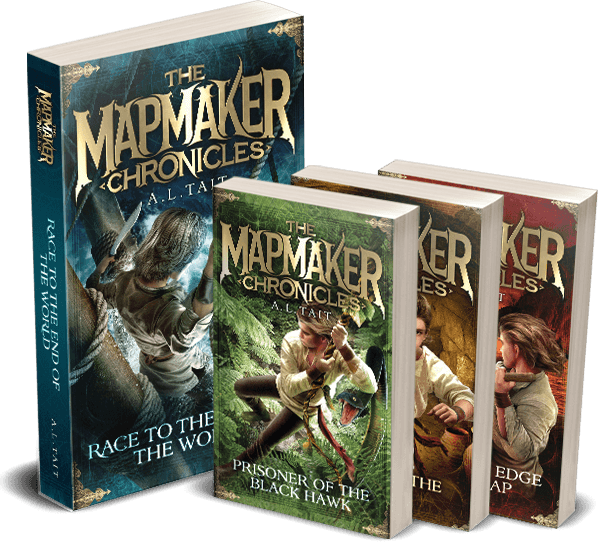 The Mapmaker Chronicles is an exciting adventure series about a race to map the world … and a boy who discovers more than he ever imagined. 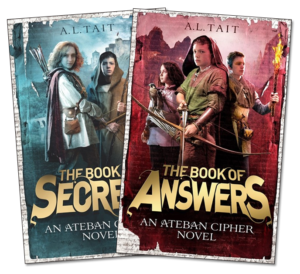 The Ateban Cipher is A.L.Tait’s newest adventure series for kids aged nine and up. 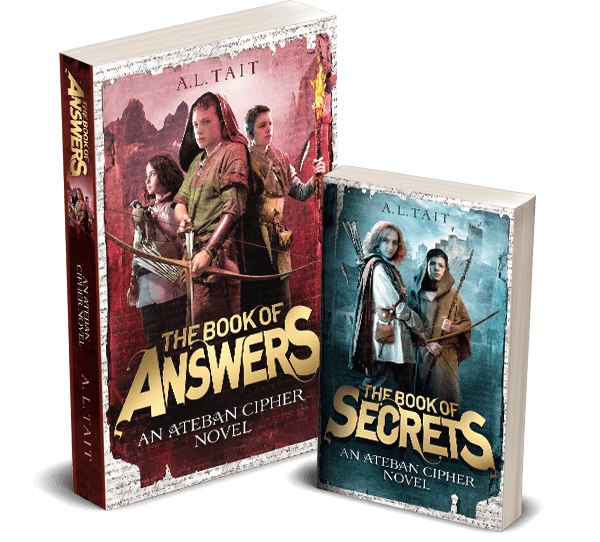 Gabe is handed a book by a dying man and must venture outside the Abbey walls for the first time in his life to uncover its secrets – and to keep it safe. I also listen to your podcast and could definitely hear your ‘voice’ (esp. 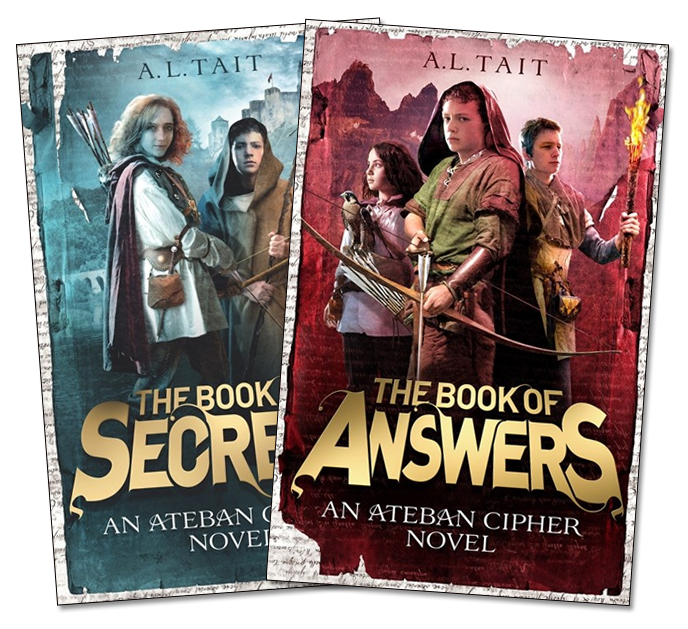 your wry humour) in the book, made me smile. 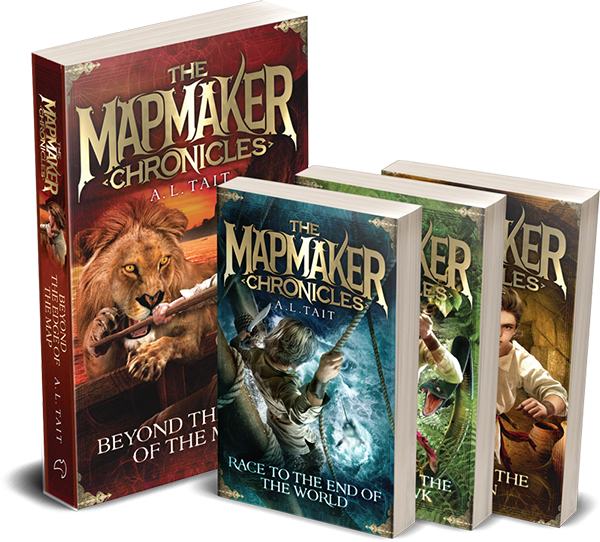 Off to devour Breath of the Dragon ….